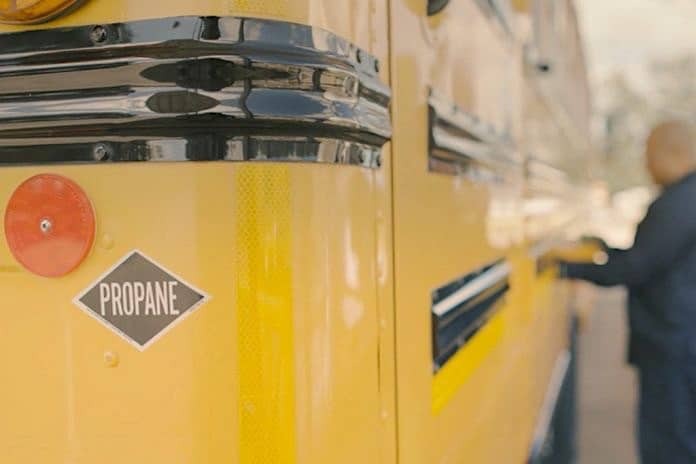 A nearly $2 million grant from the U.S. Environmental Protection Agency (EPA) will allow the Fulton County School District in Georgia to fund the retirement of 85 diesel-powered school buses and replace them with new propane-powered models. The EPA is awarding the $1,962,097 grant via the Clean Diesel Funding Assistance Program. The grant is designed to reduce harmful pollution from school buses. Local media new reports indicated that the buses to be replaced range from model years 2001 to 2005. The total cost of the replacement project is $7.85 million. The school district will pay 75 percent of the new school bus initial purchase costs. At the end of the purchasing cycle, the district will have 272 propane buses in its fleet. The replacement and retrofit of the diesel vehicles will reduce harmful emissions to improve public health and air quality. Diesel exhaust, according to the EPA, can cause asthma and respiratory illnesses, as well as worsen existing heart and lung disease. The EPA’s clean diesel program provides support for projects that protect human health and improve air quality, according to its website. The program includes grants and rebates under the Diesel Emissions Reduction Act. National grant applications for 2019 are now open on the EPA website. Meanwhile, the 2018 Tribal Grant Applications are extended through April 3.